South Normanton FC have dropped out of the Central Midlands Football League. The Shiners had their resignation accepted by the league on Sunday evening. A statement from the league confirmed their playing record this season will be wiped out. 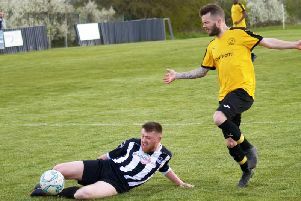 It read: “It is with regret that the Central Midlands Football League have to announce that South Normanton FC have tendered their resignation from the league. “The resignation has been accepted by the league.